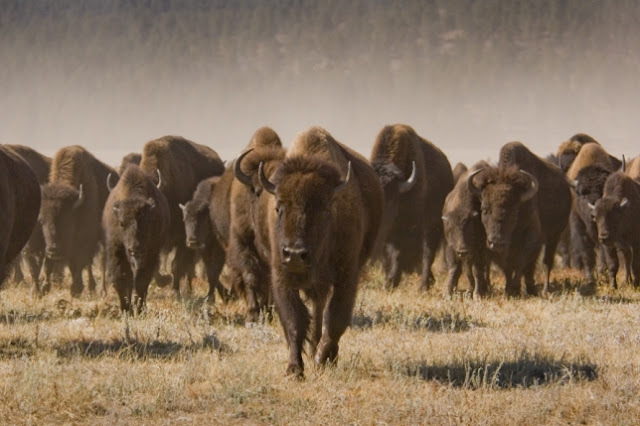 National Bison Association and a handful of other organizations worked together to unveil a new goal: growing the North American bison herd to 1 million by 2027. Ranchers, conservationists, tribal members and bison enthusiasts gathered in Big Sky Wednesday for the 2017 International Bison Conference, where National Bison Association executive director Dave Carter announced the new “Bison 1 Million” campaign. Representatives of the National Bison Association, Canadian Bison Association, Intertribal Buffalo Council and Wildlife Conservation Society participated in the announcement to show their collaborative commitment to restoring the North American bison population. “Private bison producers look at bison management for creating a profit, and we look at it for cultural use and utilizing buffalo in a culturally specific manner,” Toomey said. This includes ceremonial purposes, feasts and powwows, and providing healthy and culturally specific foods to tribal members, Toomey said. All seven Indian reservations in Montana are members of the Intertribal Buffalo Council, though not every one has its own bison herd, he said. “When you look at tribal participation and increase tribal buffalo numbers, that is triggered by not only cultural use and nutritional value, but also by a culturally specific way of making a living,” Toomey said. Reaching 1 million bison is an ambitious goal, both Carter and Toomey agree, but the International Bison Conference serves to communicate each organization’s needs and methods for supporting the North American bison population. “In the coming months, each of our partners will be providing outreach education on the activities that will help promote the continued restoration of bison on private, public and tribal lands,” Carter wrote in a news release. 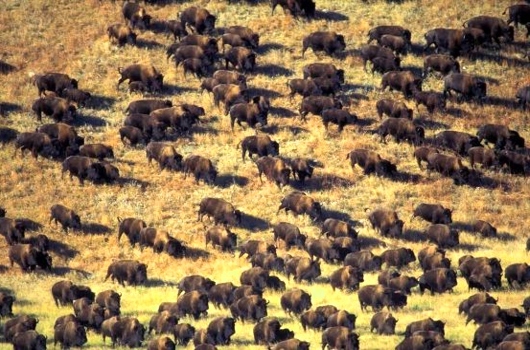 Responses to "International Bison Conference announces goal of 1 million bison "